Conspoor hood fit and design. While I won’t get to use this in anger till the Autumn, first impressions show its a well made and capable poncho. Sturdy build and not excessively heavy or bulky. My only disappointment is the hood seems almost an afterthought. It’s too small to fit directly on my medium sized head so for a cycling cape very disappointed you cannot wear a helmet underneath. Works as advertised. Long is good for those over 6'/1.8m tall. Well made, wax finish will likely wear down after a season and need to be re-done. Better purchase than a generic bike poncho from the sports stores. No color option? What color is ready? Does the hood fold away? Hi... I may wear a hat instead of using the hood, and am concerned that water may collect in the hood if it's not on the head. Will it stow away or detach? Unfortunately the hood is not detachable im afraid. It is possible that you could fold it away but as we have never tried this we cannot say for certain. Hi, Does the poncho fold up neatly into a compact size? And does it come with a bag? Thanks. 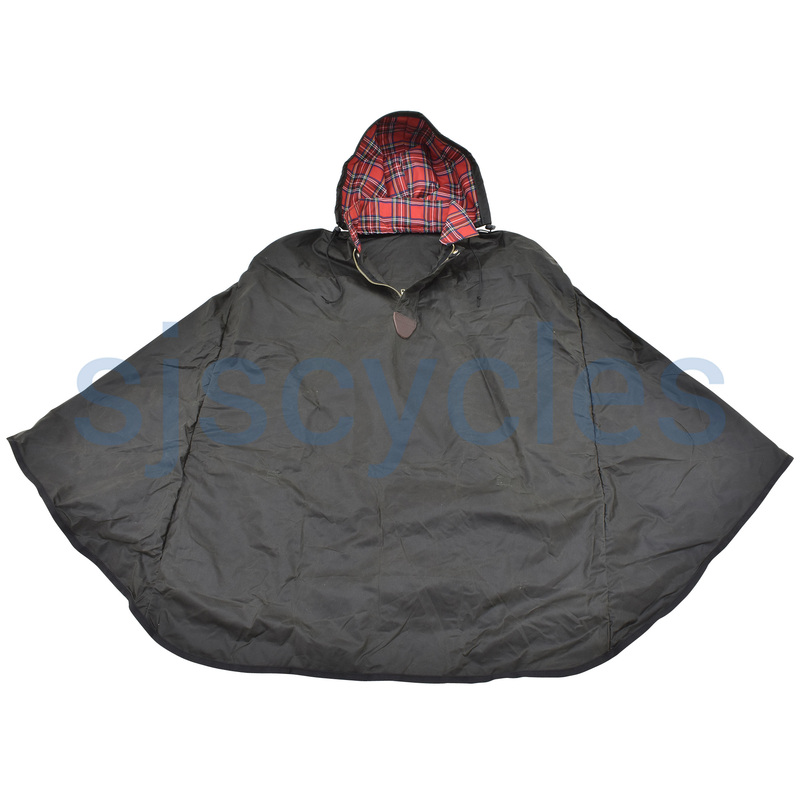 Yes this Poncho folds/rolls into a compact size, and fits within the bag supplied. What size should I order please? Hi, I would like to purchase for my partner - he's 6' 4" tall. Can you advise on best size to order please. Thank you. As he is quite tall the XL size would be the best fit. Although we have never tested one on a Brompton it should still fit and work the same as a normal bike. The fact the wheels on the Brompton are smaller in diameter should work to its advantage though by keeping them further away from the bottom of he cape.